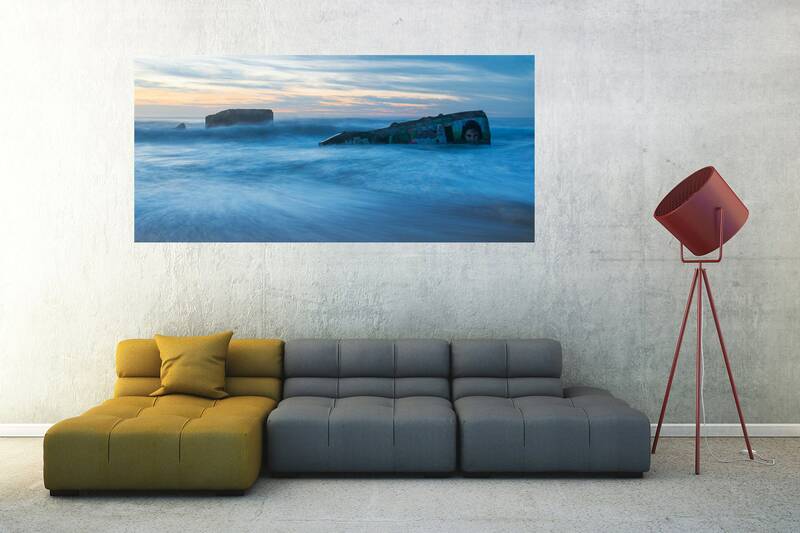 A beautiful ethereal looking print of large rocks in the sea with a dusky blue hue after sunset. One of the rocks has striking looking grafitti on it. 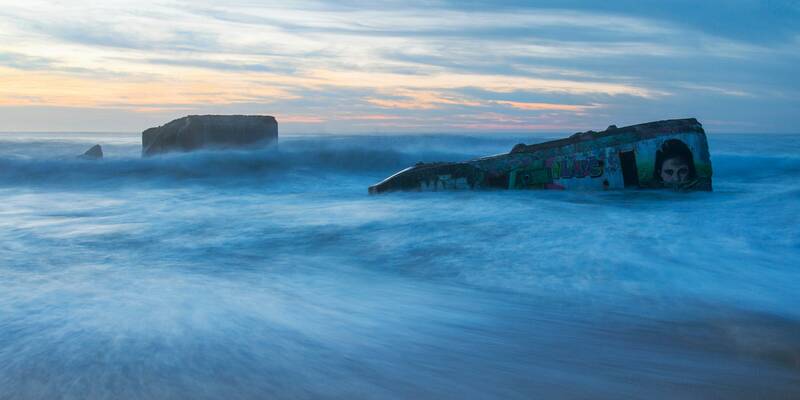 Image taken along the South West coast of France. 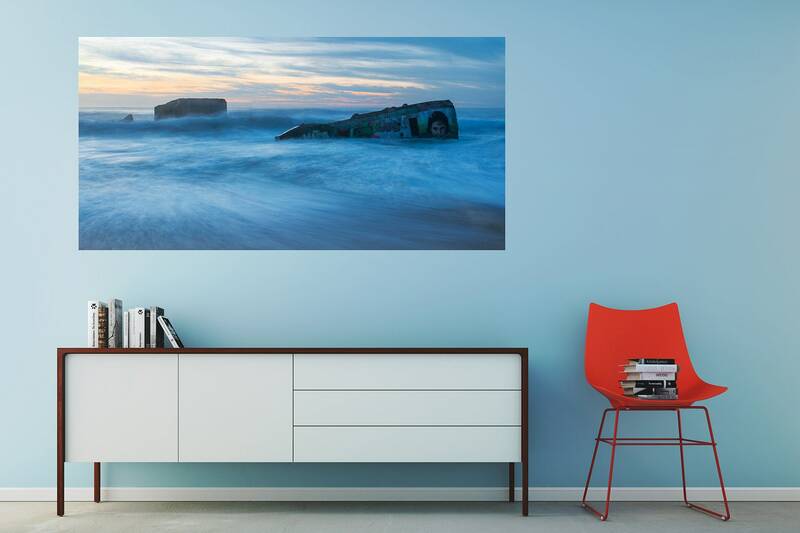 This image looks stunning as a large print on the wall at home or in the office. Size. 16 x 36 inch / Price £185.00 / Open Edition. ( Not signed and numbered ). Size. 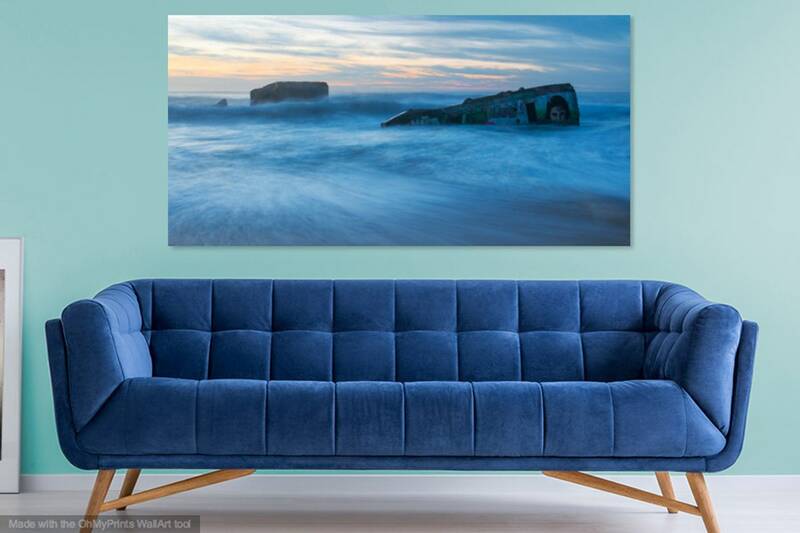 20 x 40 inch / Price £285.00 / Limited Edition of 50. ( Signed and numbered Certificate of Authenticity ). Size. 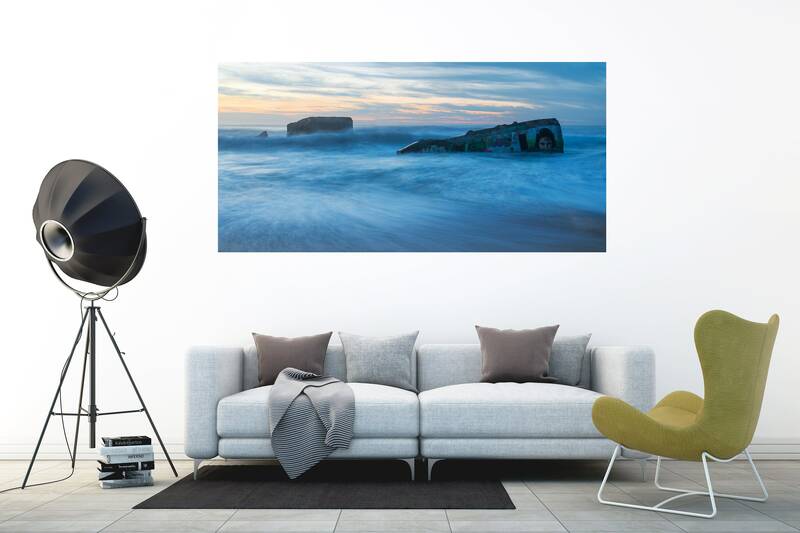 30 x 60 inch / Price £435.00 / Limited Edition of 20. ( Signed and numbered Certificate of Authenticity). The ultimate professional archival prints; silver based C-types.